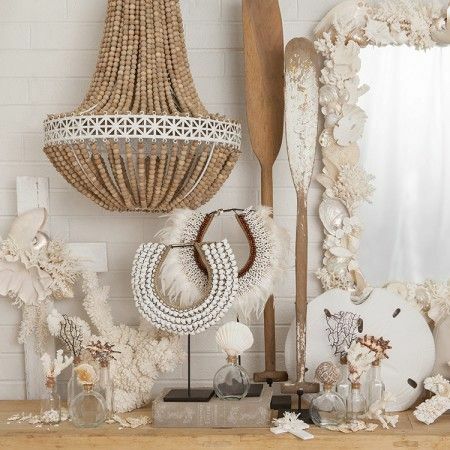 You may or may not have noticed but there has been a sudden surge of French beaded chandeliers appearing in stores, magazines and high end homes. This latest style in pendant lighting is hitting my instagram feed pretty hard right now and I have not one single complaint about it. These pieces mean serious business in the style stakes and I think they are absolutely gorgeous. If you have high ceilings and want to add a little (or a lot of) wow factor or you have a great space outdoors, they are definitely worth some consideration. Ranging in price from around $600 and up, they are not the best budget-friendly option, but on a dollar for impact scale they are pretty darn reasonable! Also lots of DIY tutorials are already popping up here, there and everywhere – so if you like the idea I imagine this would be an extremely rewarding project. 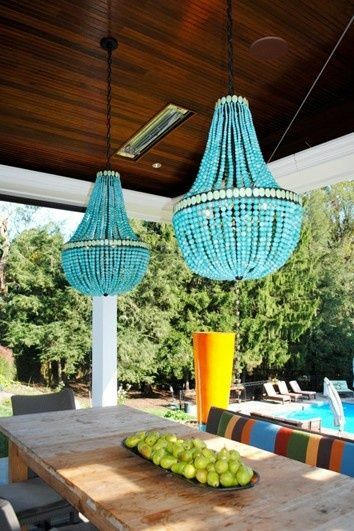 For a little inspiration, take a look below at some of my favourite looks for these chandeliers below..